The proper cleaning and maintenance of your home pool is necessary not just to keep it looking clean, but to maintain healthy standards for swimming. An improperly cleaned pool can harbor bacteria & other contaminants that not only prevent your residential pool from looking great, but can endanger your health! Southeast Pools will make certain your pool looks great and is clean for swimming. With proper vacuuming, skimming, filter cleaning, basket cleaning, and other residential swimming pool cleaning & maintenance services, Southeast Pools will make sure your backyard oasis is clean and swimmable at all times. At Southeast Pools, we don’t believe in a one-size-fits-all solution. Each home swimming pool is unique and requires unique service solutions. 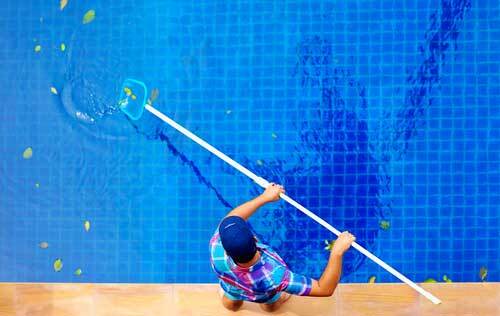 That’s why a member of our licensed and insured pool team will meet with you first to determine a cleaning & maintenance plan specific to your residential pool.